With the aid of the trusty Lonely Planet guidebook that a friend left me when she fled to Australia and the sheer willpower of our dependable Kancil, known as Daisy, Mitch and I embarked on a road trip north to Ipoh and east to Cameron highlands. Yes, we took this baby on a road trip up mountains. No, she did not survive the journey unscathed. More on that later. It did not take 4 hours and 37 minutes. That is a lie. It took much, much longer. If you’ve never travelled overland in Malaysia before, expect loads of traffic all the time for no apparent reason; lane closures that are unmarked until the moment the lane closes, leading to more traffic, speed limits of 110km/h that really mean cars are driving anywhere from 70-130km/h, and lots of trucks. As Mitch and I learned, stopping at a rest area is a bad idea. They are very crowded and there’s not nearly enough parking. I’m not sure if that’s because we were travelling over a holiday week/weekend, but that’s the experience we had. It honestly would have been faster to drive into a town to use the washroom and buy coffee, but we didn’t know that. So that slowed us down a little, too. Finally, if you’re driving in Malaysia, be aware of the demands you will put on your vehicle. 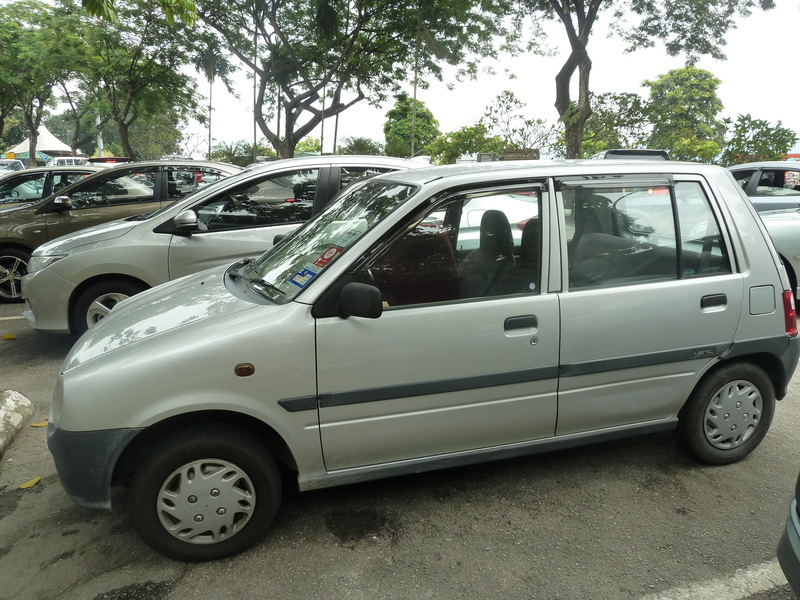 Our Kancil has a 660 cc engine, which means it cannot go very fast. 90 is pushing it. 110 is nearly impossible. It also doesn’t accelerate, which is really scary when there are larger vehicles and motorcycles whizzing past in all directions at unthinkable speeds.. All that said, we got there and back in one piece. Well, Mitch and I did. Daisy needed a new battery after we left the lights on overnight. Oops. 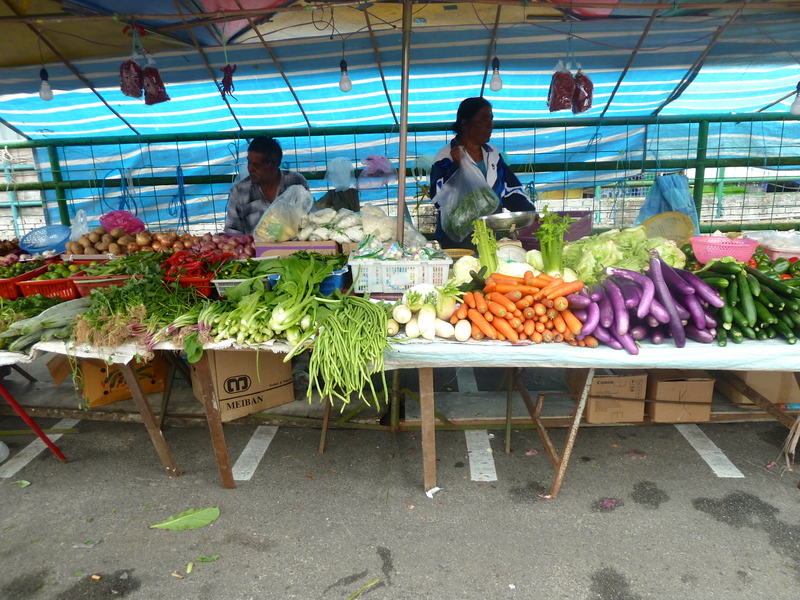 Our trip started Saturday late morning and we planned to stop in Ipoh to wander around Old Town and grab some food. 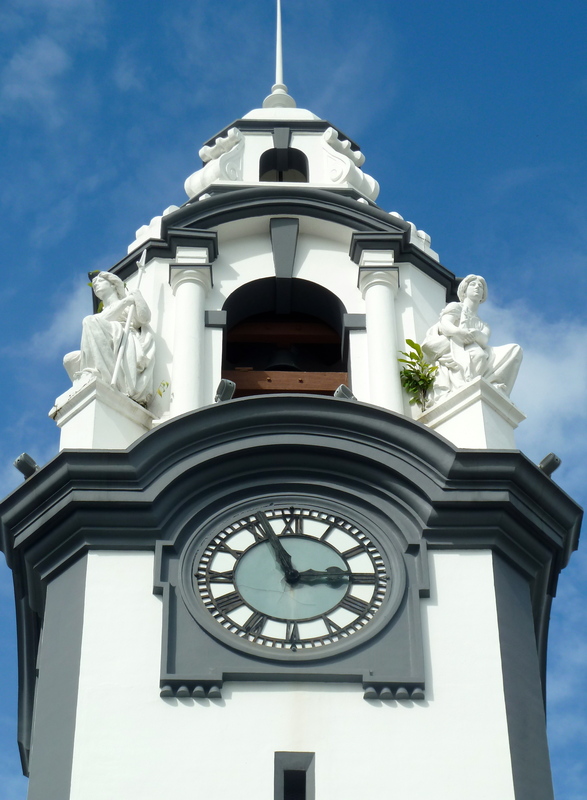 It took us a lot longer to get to Ipoh than we’d hoped or anticipated, but we did stop to wander, eat, and stretch our legs. 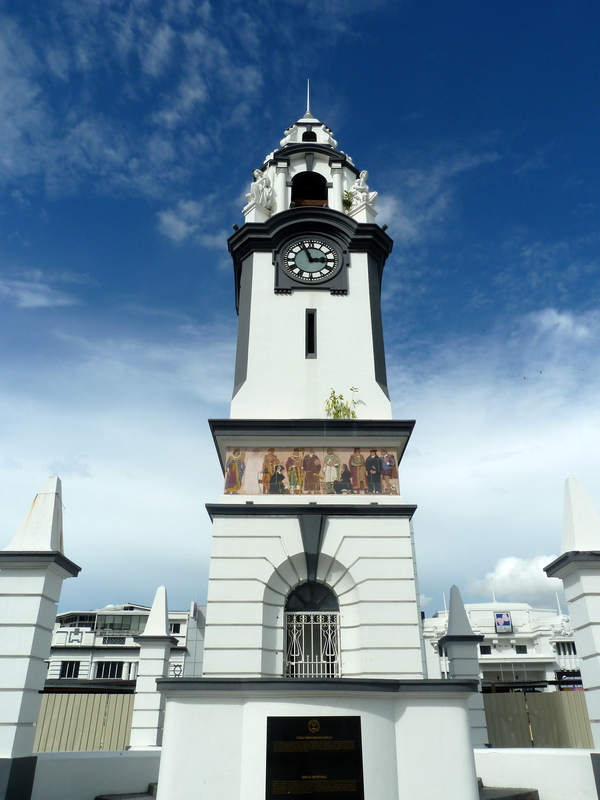 Ipoh’s Old Town is a cluster of streets full of buildings with colonial-style architecture. There’s also a wonderful little hipster plaza where we saw three couples taking wedding pictures! I really enjoyed wandering around the hipster corner, and not only because I got a real salad at a great restaurant! The shops were adorable and a few had Christmas displays and Christmas crafts for sale. The whole place was basically restored buildings built in, around, and incorporating trees. There was a public toilet behind the wall of books, which is a strange place for a toilet. We also got a kick out of the rather ancient Chubb safe. Ipoh, like Penang, is filled with street art. 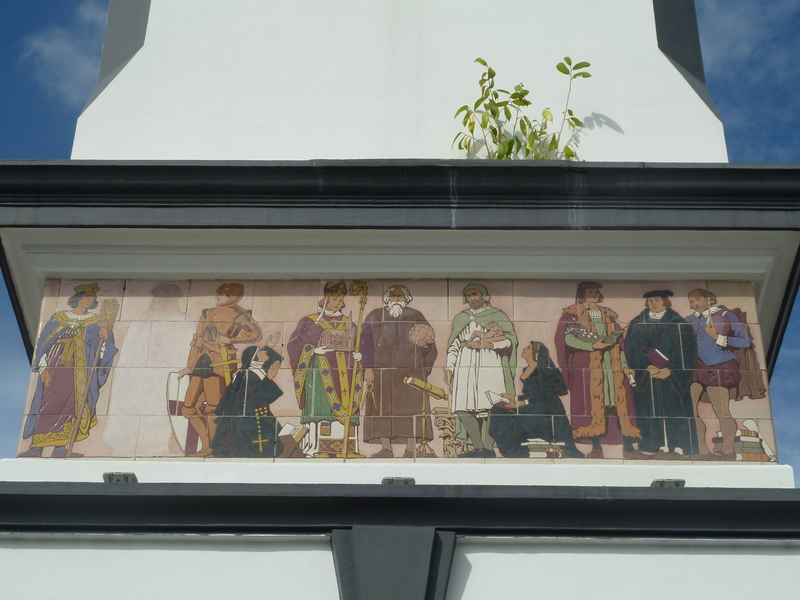 At least one artist who colored George Town in Penang also had a hand in painting Ipoh. We didn’t see nearly as many murals as we did in Penang because we didn’t spend as much time there, but the ones we saw were charming and the art itself was really impressive. 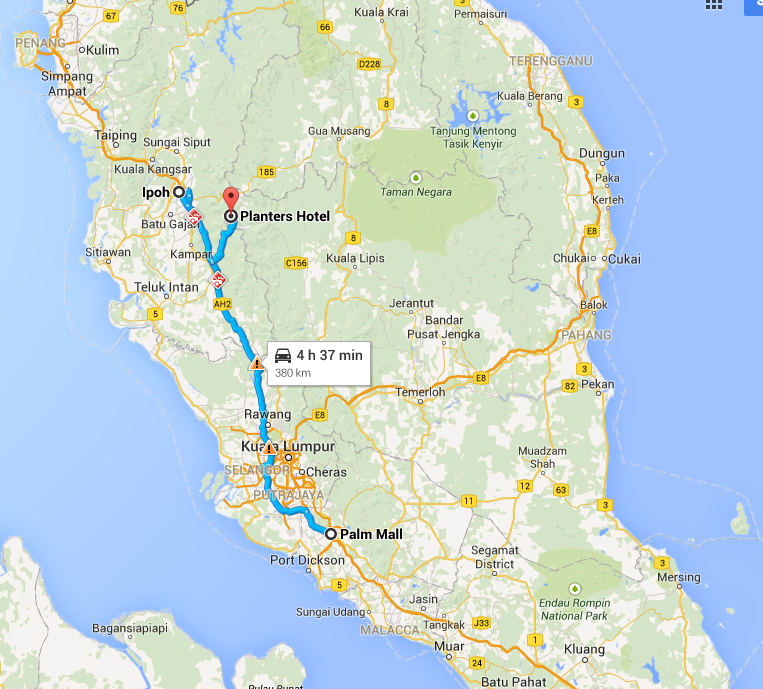 We left Ipoh in the late afternoon and began the ascent to Cameron Highlands, which is about 5000m above sea level. Everyone told us to avoid the back route and avoid travelling in the dark. So what did we do? We took the back route and we arrived in the dark. It was honestly an accident. We were perhaps too reliant on our GPS and didn’t check the route map before following blindly. I was terrified and not driving; Mitch was very calm and driving, so that worked out. He got loads of practice shifting, too! As we learned in the morning when we could see, Tanah Rata is an adorable little town full of steamboat restaurants (the local preference) and Indian restaurants (my preference). There were also a number of restaurants catering to Western tourists and even a well-hidden Starbucks which, I am proud to say, we only visited once. 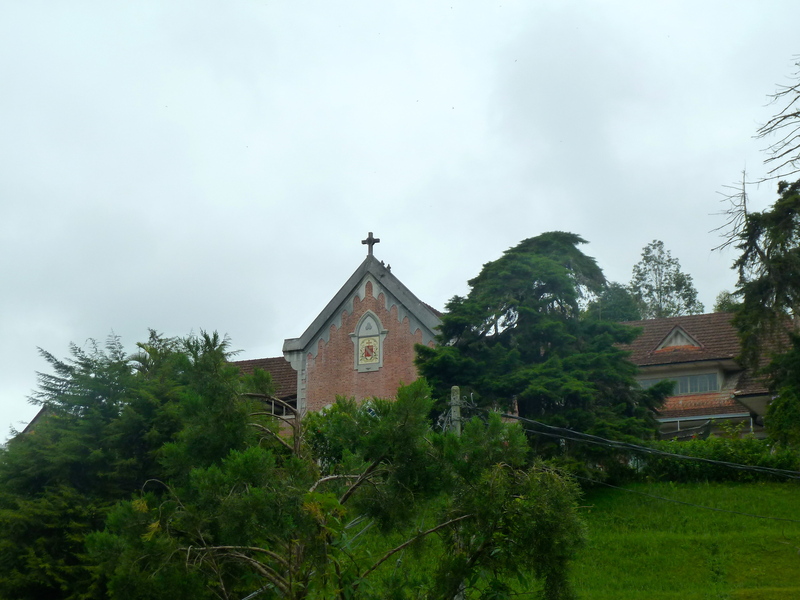 We were surprised to see a convent on a hill overlooking the town, but it was actually a comforting sight. Three years at OLM has had quite the influence on my feelings towards religious houses! 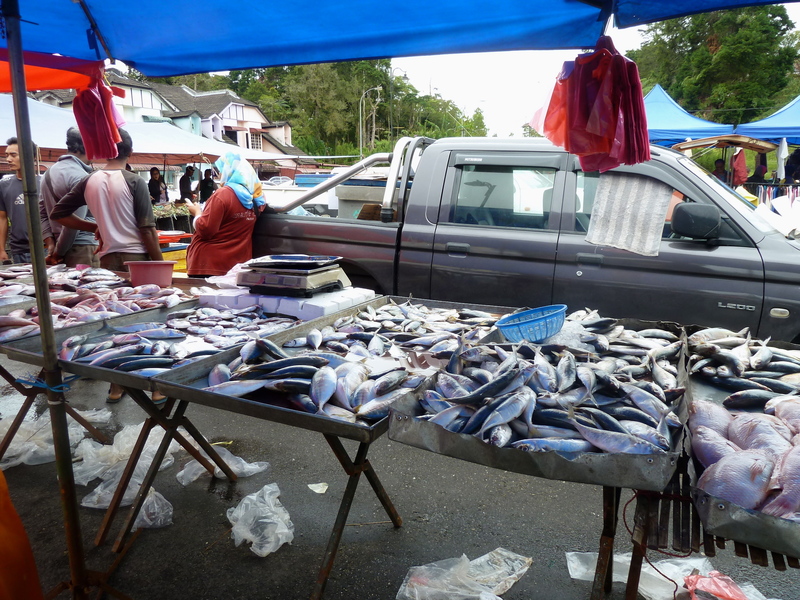 There are dozens of little markets all over the place in the three main Cameron Highlands villages – Brinchang, Tanah Rata, and Ringlet – and along the roads connecting the villages. A note on the food for this trip: Indian food is my favorite food here in Malaysia because Indians understand what it means to be a vegetarian. Most of the tea in Malaysia comes from Cameron Highlands and most tea pickers are Indian, so Indian food was everywhere. We breakfasted each morning (and snacked once or twice) on some of our favorites: Masala tea, egg-cheese-onion roti with curry, and potato-vegetable thosai with dahl and curry. Delicious! I had vegetable curry twice for dinner because it’s just that good and we had amazing tom yam steamboat one night, too. The proprietor of this busy family restaurant clearly understood my dietary restrictions and assured me that there was no shrimp in the tom yam, but I’m still a bit skeptical. There’s shrimp paste in sambal, which is in just about everything spicy, so I’m willing to bet there’s at least a little in the tom yam. But darn was it good. This sign was in front of the steamboat place where we had amazing food. 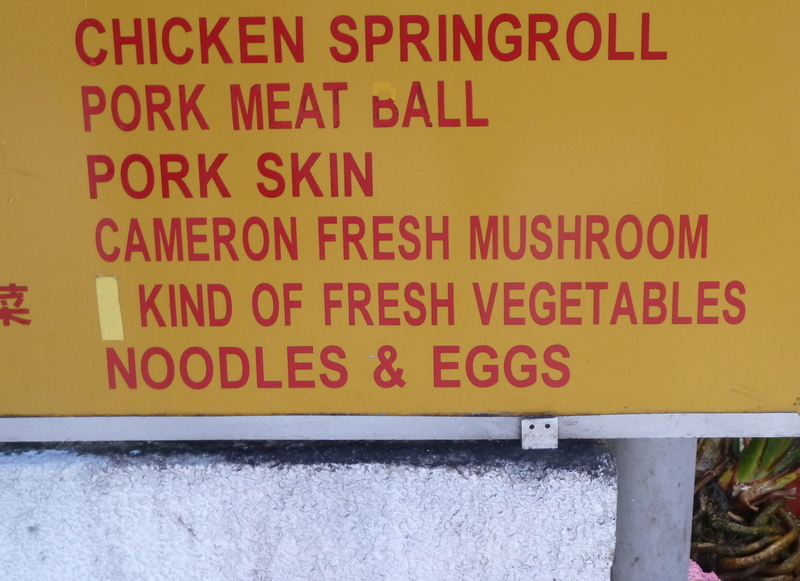 The vegetables were kind of fresh, I guess . . . 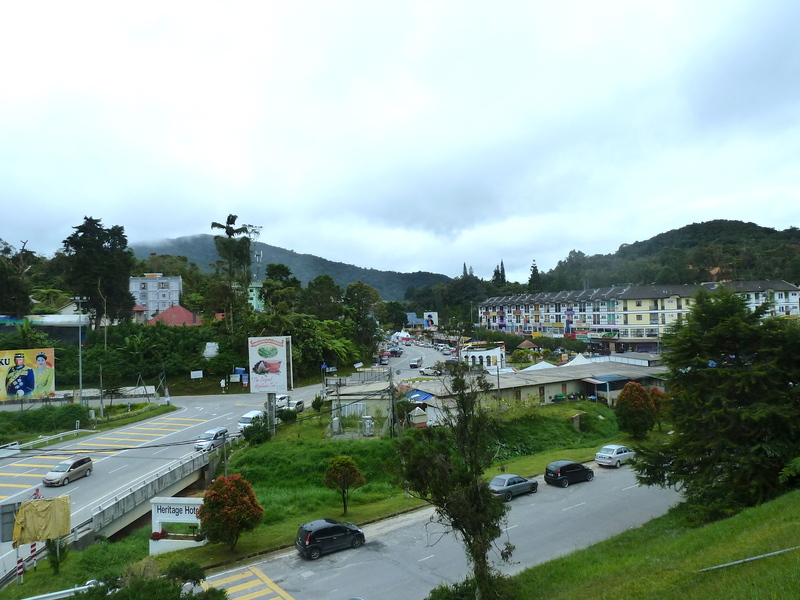 The first morning that we spent walking around Tanah Rata was literally the only time it wasn’t pouring. 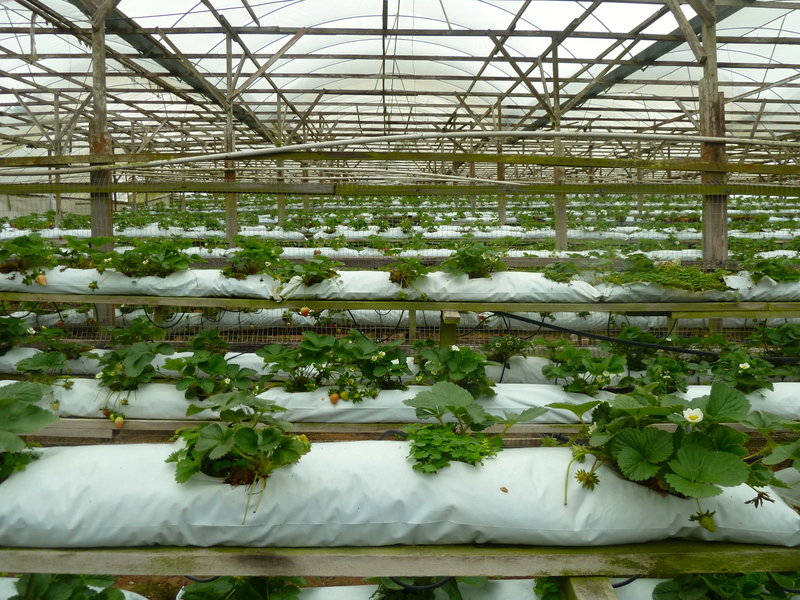 November and December are the rainiest months in the Cameron Highlands, which also makes them the coldest. We were not at all prepared for temperatures in the 60s Fahrenheit, but we joked that it’s good practice for our upcoming trip to Spain. Nevertheless, we had come all that way to explore and that’s exactly what we did. 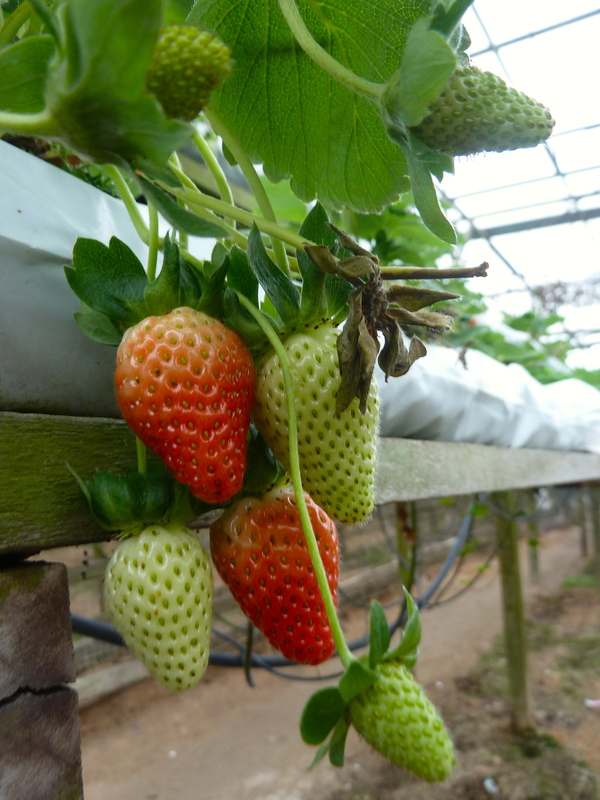 It was weird to see strawberries grown so “unnaturally” – where I come from, they grow on bushes in gardens and are often eats by birds. There’s also much smaller at home and that’s how you know they’re going to be tasty! If teas are flavored or herbal, that’s because of added or substituted natural products, like chamomile flowers or ginger. The Boh plantation was astonishingly beautiful. Sadly, the pictures don’t even come close to capturing it. 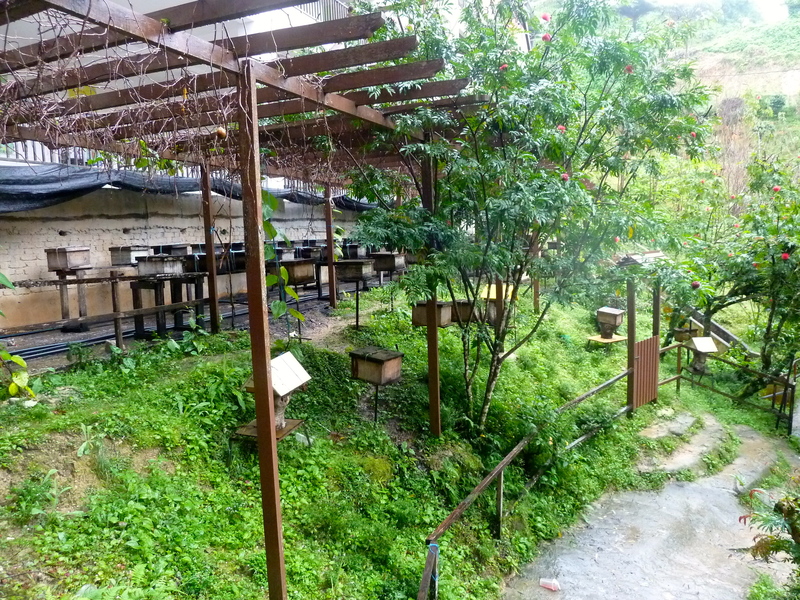 We also made a very brief stop at a honey bee farm, mostly to sample honey sticks! Like everywhere in Malaysia, religion is important. It is telling that we didn’t see a mosque in Tanah Rata. Instead, we visited Hindu and Buddhist temples. We couldn’t go inside Sri Tehndayuthapany Swamy but we enjoyed the gorgeous outside. We did venture into Sam Poh Temple, quite a popular and even busy sight. 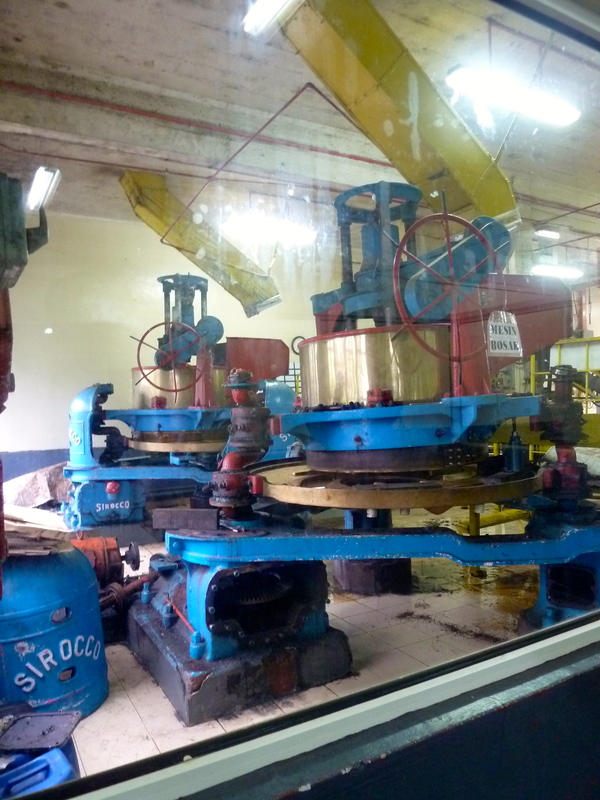 As if one tea plantation weren’t enough, we had to visit the other one, too. Cameron Valley Tea Estates didn’t seem as large as Boh, but it was equally incredible. 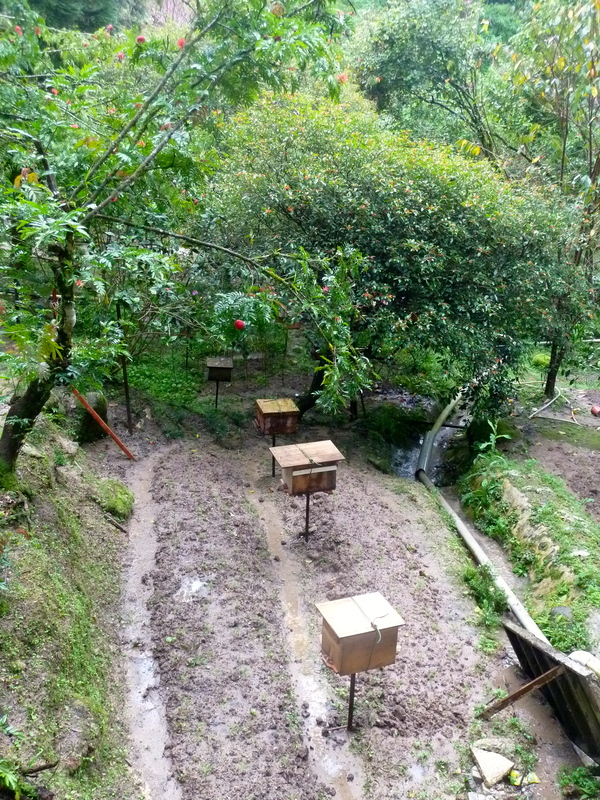 The other popular thing to do in Cameron Highlands is hike, but we had no real rain gear and it didn’t stop raining. I’m willing to bet that a hike in these mountains is a beautiful and unforgettable experience. 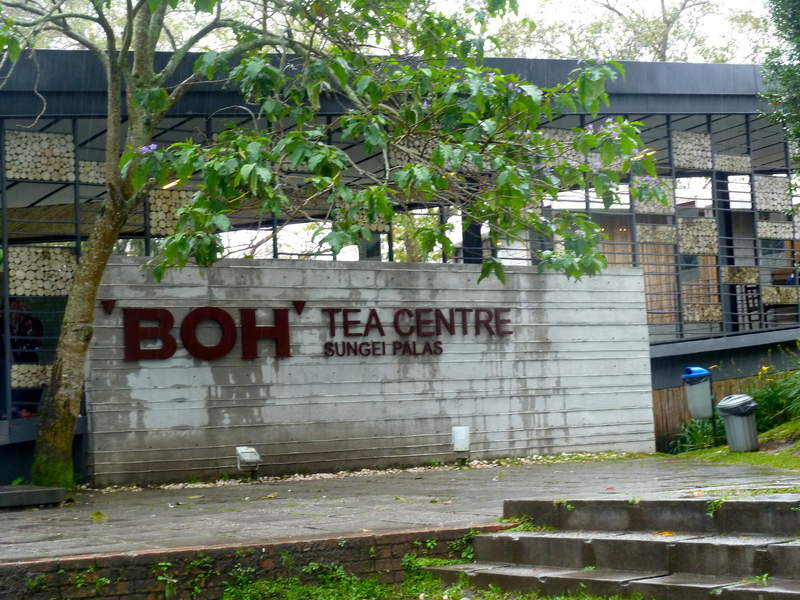 Personally, I’m really glad we made this trip because this is the most beautiful land I’ve seen in Malaysia and we learned a lot about tea. If you go, go when it’s a little warmer and a little drier!